Since I’ve been neglecting biathlon a bit lately, I figured I owed everyone a biathlon post, particularly given the shocking 5th place finish the other day by Susan Dunklee. The blue line tracks the median, so it’s sort of a measure of overall team performance. Also interesting is to look at how the best and worst results have trended over the years. 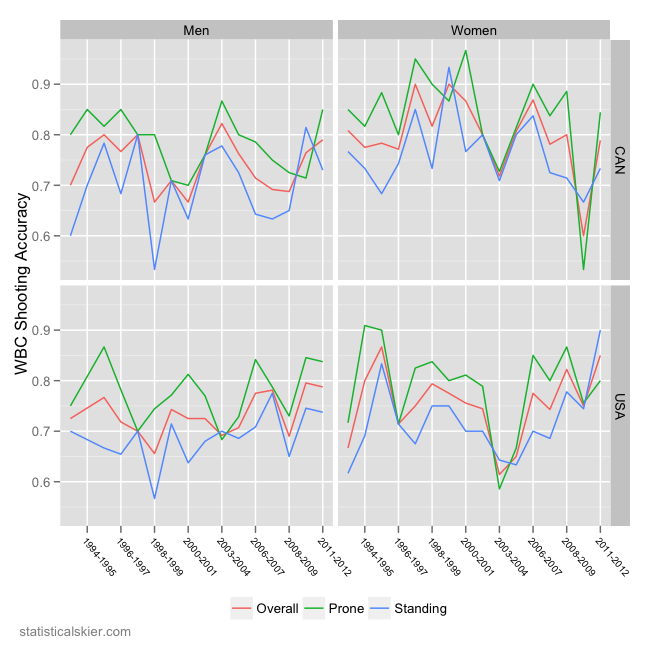 For instance, for the US women, you see their median remaining mostly flat overall, with some modest improvements lately. But their best result generally got worse through the late 90’s, and then has improved dramatically (with some notable exceptions in the middle there). Posted by Joran on Friday, March 9, 2012, at 6:00 am. Filed under Analysis, Biathlon, World Biathlon Championshipts. 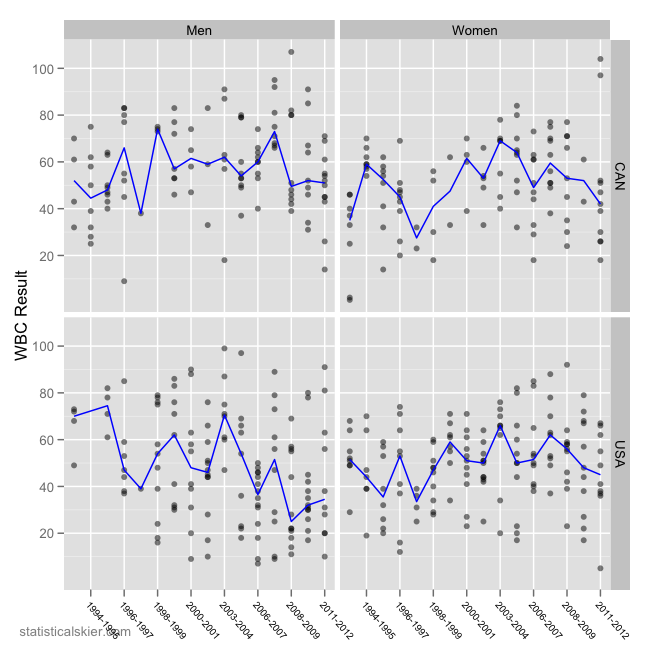 Tagged Analysis, biathlon, canada, men, USA, wbc, women. Follow any responses to this post with its comments RSS feed. You can post a comment or trackback from your blog.